MSV: Mason Media Complex 2.0? The Mason Media Complex, a subverted form of local "journalism" so dubbed here based on the influence of money and power in the local fish wrap may be on the verge of a comeback. Beth Mason, the notorious former councilwoman in Hoboken is said to be in talks to purchase the Hudson Reporter now based in Bayonne. That's the word gleaned from a panicked group of Hudson Reporter employees based on a report yesterday on Grafix Avenger. Beth Mason who fled the political scene of Hoboken after the July 2015 legal decision issuing hundreds of thousands of dollars in sanctions against her "friends" in the infamous SLAPP-suit against a dozen or so Hoboken residents may be looking to get in again. From GA, "the entire Hudson Reporter staff "from top to bottom" is in a PANIC over the pending deal." One source at the Hudson Reporter speaking confidentially to MSV admitted word is out of a potential Beth Mason purchase among the flagging paper's staff saying, "We heard it. We heard the rumors. Until someone signs on the dotted line, it's only a rumor." "The problem (here) is all the reporters are new. They don't have experience with Beth Mason. This is just a name to them. My feeling is that if it's happening, we've only heard it as rumors. No one has talked to us." Accuracy on the political operations of Beth Mason against Hoboken's local hospital, its elected officials, Mayor Dawn Zimmer, the Reform movement and City itself was never a strong point in the Hudson Reporter. A plethora of ads by Mason at the paper never led to her desired political outcomes. Beth Mason's last public actions were reported here when her phony criminal charges were thrown out of court last year against this Editor and went unreported there as her profile in town evaporated and she was often shunned at Hoboken public events. Mason alleged she had been assaulted with a white no. 10 envelope containing a witness subpoena to appear at trial in the frivolous civil suit Bajardi v Pincus. She claimed it occurred right on the dais of the City Council chambers before the start of a September 2014 City Council meeting. Witnesses were ready to testify against her "story" no such thing happened when the proceedings like Bajardi v Pincus was thrown out of court mid-trial. After criminal charges were thrown out of court, MSV published the story and the actual video of what occurred in the hand off of the envelope with the subpoena. Emails obtained from the Bajardi v Pincus lawsuit were published here and on Grafix Avenger after that case was thrown out of court and the judge declared there was no evidence to support the claims of the plaintiffs. Those emails lit up Hoboken as Mason's behind the scenes political operations came to light. Some were covered on this website in "The Bench Slapped" series. Others appeared on Grafix Avenger and Beth Mason disappeared soon after Hudson Superior Court issued sanctions and legal fees for over $275,000 against the plaintiffs. She went to ground missing five consecutive council meetings before exiting the council. Beth Mason publicly announced the frivolous lawsuit in a live City Council meeting back in July 2012 in reply to questions by this editor. The SLAPP-suit was filed exactly 15 days later. 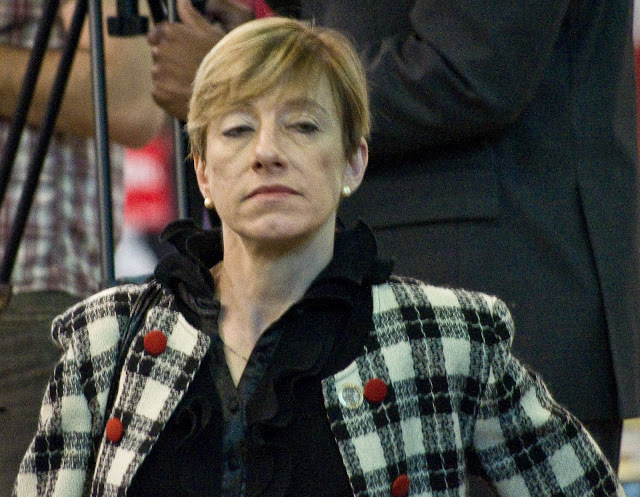 Beth Mason, the notorious former Hoboken councilwoman is reported in talks to purchase the Hudson Reporter. Talking Ed Note: If you can't win using them, buy them? If you can't win a frivolous lawsuit, put your political operatives on the "journalism" payroll and cover their legal bills into the hundreds of thousands of dollars hiring them as consultants/editors? And strike terror into truth, justice and the American way by having everyone answer to a stinking, slimy fish?